The World’s favorite conductivity meter. Simply brilliant, brilliantly simple! It is essent.. The ESSENTIALS EC Meter gives direct accurate readings of nutrient solution and is very helpful in m.. 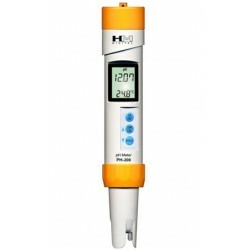 The PLANT!T pH meter is reliable and easy to use. Small and lightweight, it is ideal for any growroo.. The VitaLink ESSENTIALS pH test indicator kit uses a solution known as universal indicator to change..
pH meters are an important piece of equipment in the grow room and keeping them in tip top condition..